This tutorial is an in depth explanation on how to write queries in Kibana - at the search bar at the top - or in Elasticsearch - using the Query String Query. The query language used is acutally the Lucene query language, since Lucene is used inside of Elasticsearch to index data. There are plenty of tutorials out there explaining the Lucene query language already, so why would I write another one? Most of these tutorials only cover the Lucene query language, but doesn’t take Elasticsearch into account. Knowing how your data is indexed in Elasticsearch highly influence for what and how you can search with your queries. So the topic of this tutorial isn’t just explaining the query language, but also explaining why it may or may not find your documents stored in Elasticsearch. It should help you with some of the situations in which your query in Kibana does not find the document you are looking for and you wonder: why? If you just want some very short overview of what kind of queries you can enter into Kibana/Elasticsearch and doesn’t bother with details or haven’t had any problems with documents that are not found even though you expect them to, one of the other tutorials out there might be a better choice to start. If we didn’t change anything in the Elasticsearch mappings for that index, Elasticsearch will autodetect string as the type of both fields when inserting the first document. What does an analyzer do? An analyzer has several tokenizers and/or filters attached to it. The tokenizer will get the value of the field that should be indexed (e.g. “The Hitchhiker’s Guide to the Galaxy”) and can split the value up into multiple chunks for which the user should be able to search for (more in a moment). The filters of an analyzer can transform or filter out tokens, that the tokenizer produces. All the resulting tokens will be stored in a so called inverted index. That index will contain all the tokens produced by the analyzer and a link to which of the documents contained them. So if the user presents Elasticsearch with a search word it just needs to look it up in the inverted index and it will instantly see which documents it needs to return. Since we didn’t specify any mapping for our Elasticsearch index, fields of the type string will be analyzed with the Standard Analyzer by default. This analyzer will first split up the field value into words (it will use space-like and punctuation characters as boundaries) and then it uses a filter to transform all tokens to lowercase. An likewise inverted index will be also created for the author field. This will contain two entries: one for “douglas” and one for “adams” which both are linked to both documents. That inverted index now allows Elasticsearch to fastly look up what documents to return for a search if the user searches for “guide”. Also the Terms-Aggregation in Elasticsearch/Kibana just looks into that inverted index and return the terms that have the most/least (depending on the order the user specified) documents attached. If you insert data into elasticsearch that is not really text, but e.g. an URL or similiar that default analyzing doesn’t make much sense. Especially if you are going to visualize your data with Kibana you don’t want a graph of the top visited URLs to contain an entry for “http” and the path split up at each slash. You would like to just have an entry per real domain. What you want is that Elasticsearch doesn’t analyze the values in your documents. As you see Elasticsearch doesn’t split up the values anymore and also doesn’t transform them to lowercase at all. Whether your values are analyzed or not (i.e. what terms are in the inverted index) have a huge impact on what and how you can search for, as we will see in the following sections. When we talk about the “analyzed data” this means, you have the data in analyzed string fields. 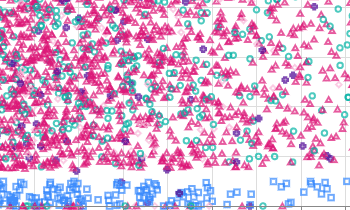 When we talk about “non-analyzed data” this means, that you have a mapping that has both fields as non analyzed. Since we now explained how Elasticsearch indexes the data, we can continue with the actual topic: searching. 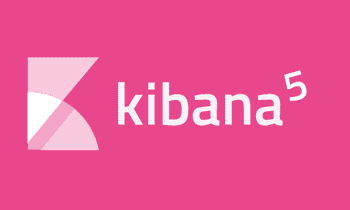 The following queries can always be used in Kibana at the top of the Discover tab, your visualization and/or dashboards. Also these queries can be used in the Query String Query when talking with Elasticsearch directly. Let’s start with the pretty simple query author:douglas. If you enter this query on the analyzed dataset, Elasticsearch will return both documents. Why? It will look up the term “douglas” in the inverted index for the author field. It is in there linking to both documents, so Elasticsearch will return those two documents as results. If you will use the very same search on the unanalyzed dataset, you will get no results. why? Elasticsearch again looks up “douglas” in the inverted index. There is no entry for just “douglas” as a term (only for “Douglas Adams”), so it won’t return any results. If you try to search for author:Douglas (first letter in uppercase) in the analyzed data you will still get both documents as a result. Why? Because Elasticsearch recognizes that the author field has been analyzed and tries to apply the same analyzer to your search query “Douglas”, meaning it will also be transformed lowercase before it will be looked up in the inverted index. That’s why it still finds the documents. The same query on unanalyzed data will still produce no result, since there is no entry for “Douglas” (only for “Douglas Adams”). Attention: There is no space allowed after the colon. Searching for author: douglas is not the same as searching for author:douglas and most likely won’t bring you any meaningful results. If you want to search for more then just one word, you have to put the words in quotes. Let’s now search for the whole name, using author:"douglas adams". If you skip the quotes (i.e. author:douglas adams), you will search for something completely different, which we will look at a few sections further. If you search for author:"douglas adams" on the unanalyzed data you will get—dramatic pause—no results (as you might have expected). Why? It will look in the inverted index for an entry for “douglas adams”, but there is only one for “Douglas Adams” - the search is case sensitive. You already might have guessed it, but searching for author:"Douglas Adams" will return both documents in the unanalyzed data, since that is exactly the “key” that is stored in the inverted index. If you search for author:"douglas adams" on the analyzed data it will return both documents. Why? Again Elasticsearch recognizes, that the author field is analyzed and try to apply the same analyzer to your query, i.e. splitting up by words in that case and transforming them to lower case. After that it finds that there are two documents for the “douglas” and the “adams” terms so it will return both. Searching for author:"Douglas Adams" would return the same, since Elasticsearch applies the lowercase filter to your query before actually searching (as mentioned above). You can also use wildcards in your search query. There are two wildcards available: ? (questionmark) will be the placeholder for exactly one character. * (asterisk) is the placeholder for any amount of characters (including 0). Attention: you cannot use wildcards inside of phrases. If you search for author:"Do?glas Adams" the questionmark won’t be used as a wildcard, but must be part of the indexed value (which it isn’t in our case). Even more attention: since Elasticsearch applies the analyzers on your query, it might look like wildcards are working inside phrases if you place them at the beginning/end of words - e.g. author:"Douglas Adams*" will still return both documents on analyzed data, but not because the wildcard worked as expected, just because the analyzer stripped that asterisk when analyzing the query. That query wouldn’t find the value “Douglas Adamsxxx”. After now showing what doesn’t work (wildcards in phrases), let’s look a bit on how they DO work. Let’s say we want to search for all books by authors with “doug” in the beginning of their name. If we search for author:doug* on analyzed data we will get both documents. In contrast searching for author:doug wouldn’t return anything, since there is no entry in the inverted index for “doug”. When entering that query, Elasticsearch will look in the inverted index and search for an entry that matches “doug*” (with the asterisk being an arbitrary amount of characters). There is an entry in the inverted index (namely “douglas”), which links to both documents so both documents will be returned. Now we come to a probably confusing part of the query language. If we use the same search term on unanalyzed data we will get no result. So far it shouldn’t be a surprise, since there is only an entry for “Douglas Adams” (uppercase letters) in the inverted index, meaning a search for “doug*” won’t give any results. So let’s be clever and search for author:Doug*. From all we know until now, that should now find the “Douglas Adams” entry in the inverted index. But if you search it, it won’t return any results. What is happening there? As soon as you use wildcards in your query, Elasticsearch will automatically lowercase your query. No matter if the field you are searching on is analyzed or not. Meaning searching for author:Doug* will be converted to author:doug* and therefore won’t find “Douglas Adams” in the unanalyzed inverted index. If you write a JSON query because you are communicating with Elasticsearch directly, you can set lowercase_expanded_terms to false in your query_string object to disable that behaviour. If you are searching in Kibana and want to use wildcards when searching for uppercase values (in unanalyzed fields) you will have to write JSON queries, which I will explain at the end of this tutorial. Not too confused yet? Then let’s jump right on to the next section. The following behavior is the old Elasticsearch behavior, but described here for completeness. It might effect you if you are using Elasticsearch Version prior to 5.1 or if you still have data indexed before 5.1. If you just write a query like Douglas, Elasticsearch doesn’t know in which of the inverted indexes you want to look that term up. If you use JSON when querying Elasticsearch directly you can specify the field it should look in with the default_field option inside your query_string object. If you don’t specify it (or entering that query in Kibana) it will default to the _all field. This is a special field with it’s own inverted index, that Elasticsearch creates for you. So searching for Douglas would be the same as searching for _all:Douglas. So what is in the inverted index of the _all field? By default when inserting a document, Elasticsearch will concatenate the values of all fields as one big string - no matter whether the original field wasn’t of type string or wasn’t analyzed at all. It will build one big value out of it, which will be analyzed by the standard analyzer and put into it’s own inverted index. The _all field therefore allows you to even search for single words in unanalyzed fields by default. Whereas the inverted index of the unanalyzed_field (in the sample document above) will only contain the entry “Douglas Adams”, because that field was set to unanalyzed (in our imaginary Elasticsearch mapping). Back to our previous data (our two book documents about Douglas Adams): if we have set the author field no not_analyzed its inverted index will only have one entry: “Douglas Adams”. The inverted index of the _all field will have both: an entry for “douglas” and one for “adams”, since the values from every field in a document are analyzed and indexed in that “meta field”. This means - looking at our unanalyzed data - searching Douglas (or equivalent _all:Douglas) will return both documents. Searching for author:Douglas won’t return any results (even though the author field originally contained that value). For searching on the unanalyzed author field you would need to specify the exact match in its inverted index (which is “Douglas Adams”), for searching in the _all field the analyzed values (like “douglas”) are enough. If you wondered, why searching for _all:Douglas (uppercase) still found the document, even though the _all inverted index has the term “douglas” (lowercase) indexed: Elasticsearch will use the same autodetection as mentioned earlier. It detects that the _all field is an analyzed field, and so it will use the same analyzer on the search value (“Douglas”), which among others converts the value to lowercase. Starting with Elasticsearch 5.1 the _all field was replaced by an all_fields search mode. If you search in a more modern Elasticsearch version for a string without a field (e.g. Douglas in the example above) the search won’t be done against the specific _all inverted index, but against all inverted indexes. That way the value will be searched in each (searchable) field, but the actual analyzer of that field will be used. You can find more detailed information on when the _all field might still be used and details on the all_fields search in the pull request on GitHub. Let’s search for author:douglas AND author:adams. Each of the query parts around the AND, works as explained in the previous sections. So it does matter for each part whether the data is analyzed or not, but it doesn’t really matter for the AND/OR operators themself. That’s why we will just look at the analyzed data from now on. Searching for author:douglas AND author:adams will return the two documents, since there is one entry for “douglas” and one for “adams” in the inverted index, and both point to the same documents, so these are returned. Searching for author:douglas OR author:terry would result in the same two documents, since both match the first part of the query (and it just needs to match one of the parts). author:douglas AND author:terry wouldn’t return any documents, since there are no documents which fullfill both parts of the query. If you just type in author:douglas author:terry Elasticsearch again needs to know whether you meant OR or AND in that case. If you write a JSON query to Elasticsearch you can specify which operator it should insert with the default_operator option inside the query_string object. 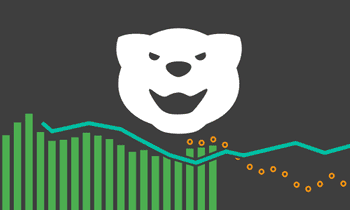 By default if you don’t specify it (or are searching from Kibana), this will be OR. Meaning author:douglas author:terry is equivalent to author:douglas OR author:terry. In the beginning of the tutorial I mentioned how important it is to set quotes if you want to search for phrases. I said that author:"Douglas Adams" searches for something completely different than author:Douglas Adams. We know now everything to understand what the later query searches for. Assuming you haven’t changed the default_operator and default_field this query will be equivalent to author:Douglas OR _all:Adams which will result in different documents than author:"Douglas Adams" most likely. If you use more then two parts in your query, you can put parantheses around it to change the grouping. By default Elasticsearch will first look if all AND operators matches before it looks at the OR operators. Besides using the keywords AND and OR you can also use && or || respectively. The official documentation about these operators is pretty detailed. Besides using AND and OR there is also a plus operator (+). If you put it in front of a query part this query part MUST match. All the other query parts (without a plus in front) are optional. E.g. +author:adams title:guide would match all documents that contains adams in the author field and optionally contain guide in the title field. Most often using the plus operator over using AND and OR makes the query a bit easier to understand. Elastic also recommends using the plus (and minus operator shown in the next section) over using AND and OR where possible. Take care, that there is no space allowed between the plus sign and the actual query part. If you want to exclude documents that match match a specific criteria, you can put a minus (-), an exclamation mark (!) or the word NOT in front of that part of the query. If you want to search for documents, containing “douglas”, but not “adams”, the query would be author:douglas -author:adams. Take care: there musn’t be a space between the minus or exclamation mark and the actual query. Elasticsearch also supports searching for regular expressions by wrapping the search string in forward slashes, e.g. author:/[Dd]ouglas.*/. Like the other queries this regex will be searched for in the inverted index, i.e. the regex must match to an entry in the inverted index and not the actual field value. For example if we search for author:/[Dd]ouglas. *[Aa]dams/ in the unanalyzed data, it will yield the two documents, since there was an entry for “Douglas Adams” in the inverted index. If you use the same query on analyzed data you won’t get any results, since it doesn’t match any inverted index entry. There are only entries for “douglas” and “adams”, but none of these matches the above regex. The supported regex syntax is special to Lucene and you can look up the documentation to see what regex operators are supported. Executing regex searches can be quite expensive, since Elasticsearch possibly has to compare every inverted index entry to the regex, which can take some while. If you can go without regex and use one of the other query types, you should do so. As you see square brackets always include the actual number, whereas curly braces will exclude the specified number from the search. You can use asertisk and excluding curly braces of course also for the lower boundary of the range. Searching for author:>=n on analyzed data would return all documents where either the first name or the last name begins with n. Again this comparison is made against the inverted index of the field, that’s why one part of the name is enough to match this query when your data is analyzed. We used the greater or equals operator above. When searching for author:>n (only greater than) you might think, that this will only reveal names beginning with o or later, but that’s not the case. It will reveal all names that are greater than “n”, which is every name beginning with “n” except the sole string “n” itself. There is a pitfall when using ranged queries on string fields. If you don’t change the lowercase_expanded_terms option to false that has been explained in the Wildcard Queries section, Elasticsearch will by default transform the query when it is a ranged query to lowercase, meaning searching for author:>D is equivalent to Searching author:>d. If your data is unanalyzed and in there is actually an entry for “Douglas Adams” in your inverted index, you wouldn’t expect author:<C to find it, since you only want to search all authors lesser than “C”. Since this will be transformed to author:<c it WILL find your documents, since all uppercase letters are always lesser than any lowercase letter, meaning “D” < “c” and so is “Douglas” < “c”. If you don’t want that behaviour you would need to set lowercase_expanded_terms to false in your query_string object when using JSON to communicate with Elasticsearch. doglas~ will search for all occurrences of something similiar to “doglas”. By default it must be in an Damerau-Levenshtein distance of 2 (the amount of characters you would need to edit/insert/delete to change the query into the actual indexed term). Quite similiar as the fuzziness operator is the proximity operator. If you search for a phrase author:"adams douglas" Elasticsearch expects the single terms to appear in exactly that order in the original document and it wouldn’t find any of our documents. Specifying a proximity like author:"adams douglas"~2 allows the words to be in another order or up to (in this case) 2 words apart in the actual document. There are two special “fields” to check for whether a document contains a field at all or doesn’t. If you want to search for all documents, that doesn’t have the “author” field or doesn’t have a value in it (i.e. null) you can use the query _missing_:author. If you want to check that a specific field exists in the searched document and has a non-null value you can use _exists_:author. Due to the way Elasticsearch indexes the data, you cannot see any differences in whether the document didn’t has the field when it was inserted into Elasticsearch or whether the value was just null. So there is no possibility to separate these two cases in a query. Elasticsearch orders the results it find, to return the best matched documents first. You can change the importance of single query parts with the boost operator (^). E.g. when searching author:douglas OR title:guide^5 the second part is five times (the default boost value is 1) as important for the ranking as the first part of the query in terms of sorting. When searching from Kibana you usually type the actual query string into the top bar as we’ve seen it throughout the tutorial. If the query string isn’t enough for what you need, you also have the possibility to write JSON in that bar. This would be equivalent to writing numeric:>=10 into that box. That most often only makes sense if you need access to options, that are only available in the JSON query, but not in the query string. And again a warning: if you write the JSON of a query_string into that field (e.g. because you want to have access to lowercase_expanded_terms) Kibana will store the correct JSON for the query, but will show you (after pressing enter) again only the “query” part of your JSON. This can be super confusing and of course if you now enter the text and hit enter again, it also loses the options you set via JSON, so this should really be used with care. This one is - from my experience - a pretty common problem, and isn’t easy to find if you don’t know for what you are looking. Elasticsearch has a setting ignore_above that you can set in the mapping for every field. This is a numeric value, that will cause Elasticsearch to NOT index values longer than the specified ignore_above value when a document gets inserted. The value will still be stored so when looking at the document you will see the value, but you cannot search for it. In that case values above 15 characters are not indexed and you cannot search for them. If you now list all the documents (in Kibana or Elasticsearch itself) you will see, that both documents are there and the value of both fields is what the string you inserted. But if you now search for fieldName:longer you won’t get any results (whereas fieldName:short would return the first document). Elasticsearch has discovered that the value “a string longer as ignore_above” is longer than 15 characters and so it only stores it in the document, but doesn’t index it, so you cannot search for anything in it, since there won’t be any content of this value in the inverted index for that field. If you can search for e.g. author:foo, but not for foo that most likely is a “problem” with your defaultfield. Elasticsearch prepends the default field in front of the foo. This field can be configured to be something different than `all`. It might be, that the index.query.default_field setting was set to something different and Elasticsearch isn’t using the _all field which might cause the problem. Another possibility is, that the _all field doesn’t behave like you would expect it to behave, because it was configured in some other way. You can exclude specific fields from the _all field (e.g. in the above example fieldName could have been excluded from indexing in the _all field) or the analyzing/indexing options have been changed in the mapping of the _all field. I hope this in depth overview of the query language in Kibana/Elasticsearch could help you understand queries a bit better, and hopefully you will understand now why a query does (or doesn’t) match a document in your data. If you feel that there is any important part or edge case that I have forgotten or you have any other questions, please feel free to leave a comment below.